Walking today was more like wading. The foliage that was so stunning just over a week ago, is not a tangled-brown-crunchy carpet. Our tiny dog Taz that tips the scales at just over six pounds almost got lost beneath it all. I walked today as the sun was setting and noticed the pin oak was still in color so I snapped a quick photo before wading on. 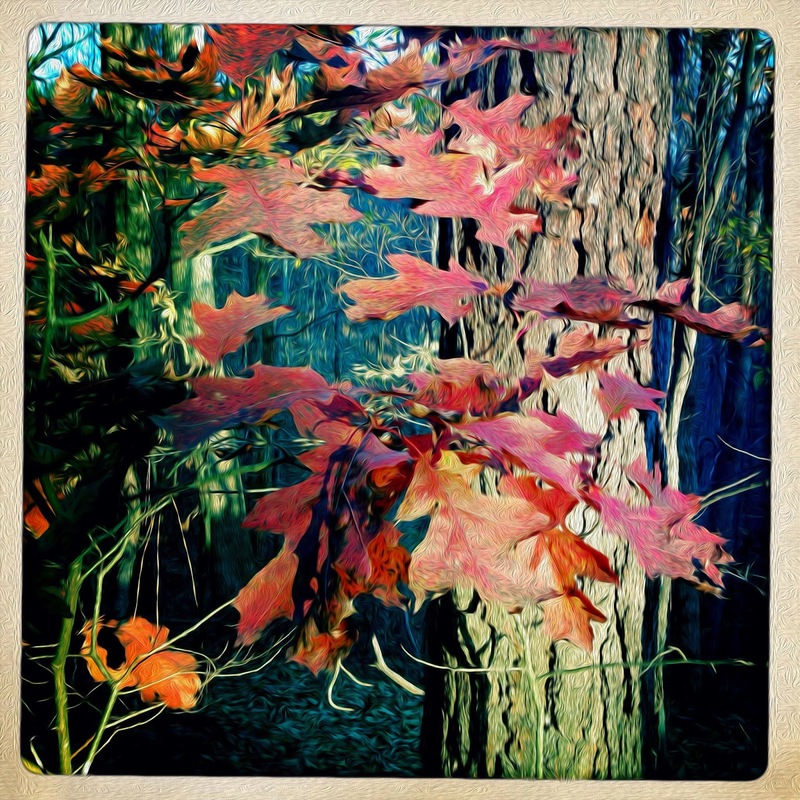 I love pin oaks..I had one in the yard of my first home. It was quite a view in the fall when I looked out my kitchen window...gorgeous! I miss it now, especially in the fall.